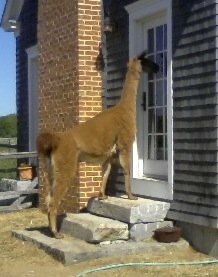 Our one resident Llama is named Sudrina, a gentle giant who may greet you, by trying to simply smell you. She's one of the sweetest on the farm and is very docile. 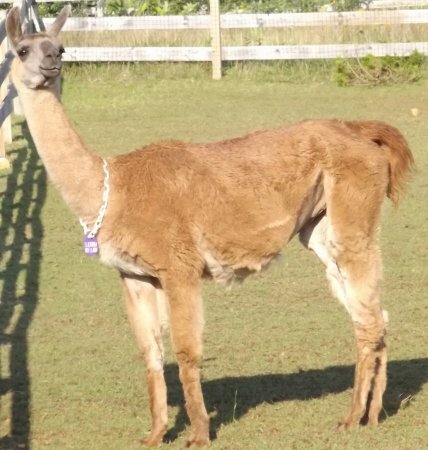 She's very easy to handle, a great Guard Llama, and she is excellent with a halter. 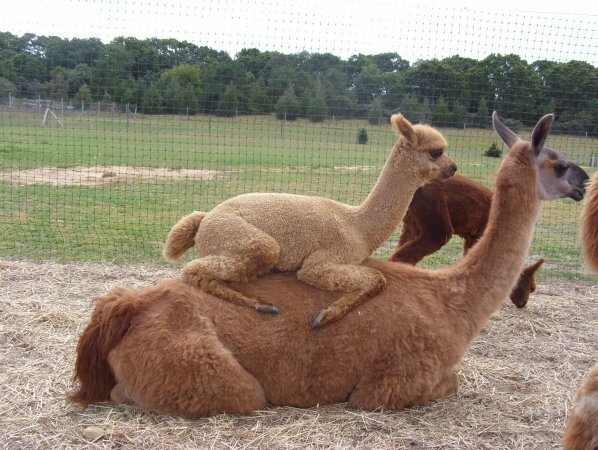 Whenever our cria are born she plays the role of grandmother and protects them like they were her own. She's got a great temperament and allows the babies to play on her back. She would even let you on her back! She's very intelligent and knows some tricks! The owner, Barbara Ronchetti, has taught Sudrina "Take off my hat" and she will do just that. She is learning how to put the hat back on ones head. Not only is she wonderful to have around, but she's great for educational purposes. 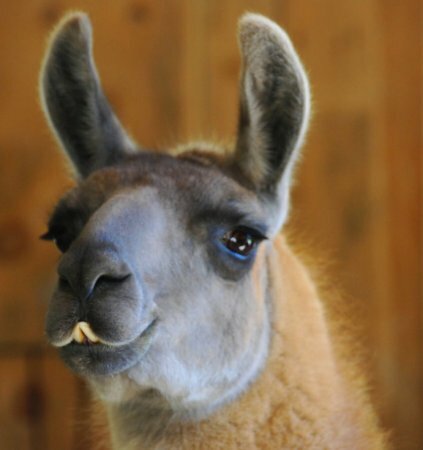 Many people get Llamas and Alpaca confused when there is quite a big difference between the two. 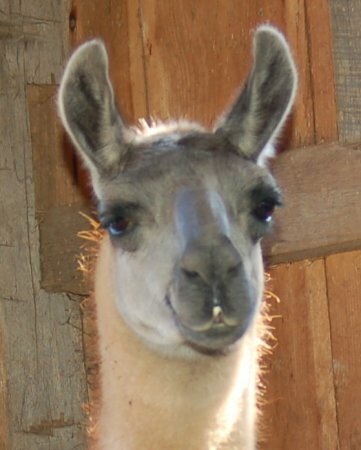 When guests come to our farm and ask, "What is the difference between an Alpaca and a Llama?" 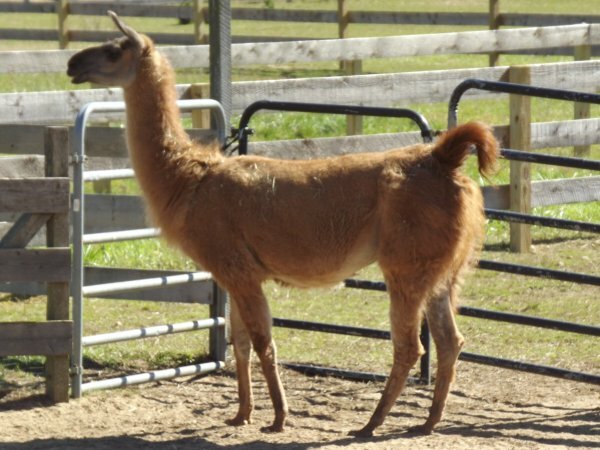 We bring them straight to Sudrina, she stays with all of our female alpaca, and show them. Come and meet her at our farm!